Home » Blog » Internet for Audio Video – Part 1. 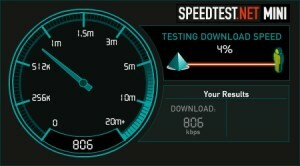 Is my Internet service fast enough for streaming Audio and Video content? Internet for Audio Video – Part 1. Is my Internet service fast enough for streaming Audio and Video content? For over 4 years, internet streaming has been important for modern AV systems and it is now essential as much of the programming people watch and listen to are streamed from internet services, not from broadcast, cable, and satellite providers. This is the first part in a series that answers the most common questions our customer have when upgrading their AV experience. Internet streaming of video (e.g., Netflix, Amazon, Vudu etc.) and music (e.g., Pandora, Spotify, Songza etc.) is widely used and supported by most new Audio/Video electronics. In order to stream a video program with satisfactory results, you need a broadband internet service that supports a download speed of at least 3 mbps (megabits per second). For full high-definition video, a speed of 6-7 mbps is needed. Audio programming has a much lower bandwidth requirement compared to video. Most sites stream at 128k bits per second which is 0.128 mbps. See the end of this post for the difference between a megabit versus a megabyte and how they are used. How to measure your speed. The simplest way to measure your Internet speed is with a web site like www.speedtest.net or an App on a smart phone or tablet. There are many apps available, but I recommend you use your web browser on your computer first. Also, it is best to use a computer hardwired with an Ethernet cable to your local network. Even if you are using a laptop, you can connect it directly to your internet router. The reason for not using a smart phone/table or laptop’s WiFi connection, is that you will be measuring the speed of both the internet to your house AND the speed loss due to the WiFi connection. 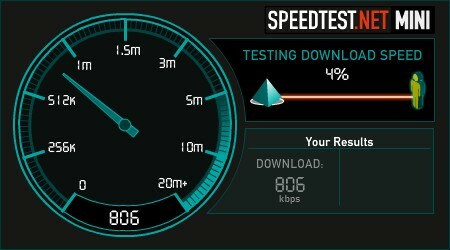 So, use an Ethernet-connected computer and run the test at www.speedtest.net. Run it several times to get an average speed. A graph of the speed will be shown during the duration of the test. This is important because it is better to have a consistent speed than a highly variable speed. For example, a 6 mbps average speed that never falls under 5 mbps is far superior to an average of 9 mbps that slows to zero often. You would never notice this surfing the web or reading email, but an erratic connection can create problems for streaming. Our next post will discuss what to do with this measurement and how WiFi can affect the speed in your home. To calculate how long it will take a file to download over your connection, you can use Google’s simple MB/Mb converter.